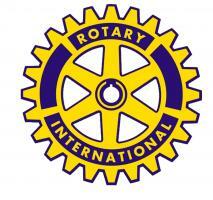 Rotary Club of Lincoln Colonia - welcome! Please scroll/swipe down through this page to find out more about us, in addition to the pages linked in the menu, top-left. We are a group of around 40 young at heart individuals who meet weekly. Visitors are always welcome but please let us know if you want to come. Here are just a few of the things we have fun doing throughout the year (find out more under the "annual events" pages of "What we do" on this website. The Lincolnshire Sausage Festival was the brainchild of Peter Harrold, a club member. This has now been held for around ten years and celebrates, no surprise, the Lijncolnshire Sausage (the clue's in the title). Enjoy a day of sausage making, sausage cooking & sausage eating, cookery demonstrations by Rachel Green in the newly revealed Lincoln Castle. The festival also includes a Farmers Market in Castle Square, along with entertainment from the Cosmic Sausages & Mr Sausage. Again, the idea of Lincoln Colonia the Santa Run winds through the castle square and the uphill streets of Lincoln. These events & more have helped us to raise nearly £50,000.00 last year for Local, National, International Charities & Good Causes. You can also find out more about some of our community PROJECTS and those who we help over the years. Consider joining us to help us raise more money and to offer community service.